Passing out baked treats to friends and neighbors this season…? Here’s one of my favorites, not only because it’s tasty, but because it’s so easy to make! 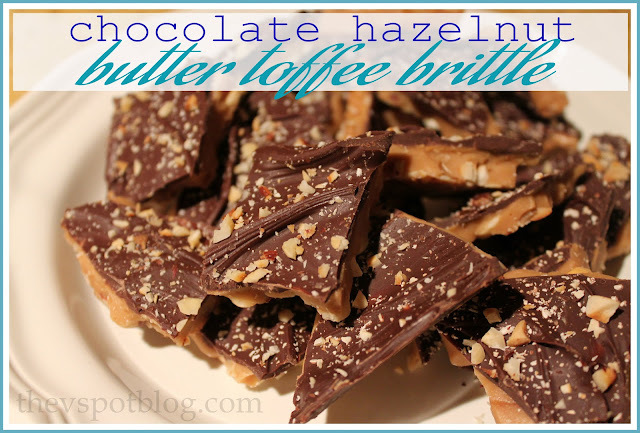 This Chocolate Hazelnut Butter Toffee Brittle is a real crowd pleaser. Line pans with foil, making sure the foil extends over the edges. 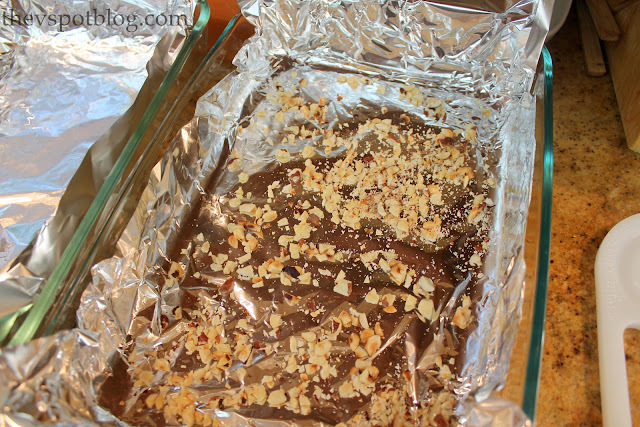 Sprinkle the chopped nuts evenly onto the foil, reserving about 1/4 cup to sprinkle over the top at the end. Melt butter in a large, heavy stock pot. Add in sugar, water and corn syrup. Whisk to dissolve and combine the ingredients. Clip thermometer to the edge of the pot and stir, stir, stir, watching carefully to make sure it doesn’t scorch. You want to bring the temperature of the mixture to 290 degrees. I have found that it seems to take forever to get it to about 250 degrees, then it heats up rapidly. Do not leave the pot. The process should take about 8 to 10 minutes. Once the mixture reaches 290, remove from heat immediately and pour the mixture over the nuts in the two prepared pans. While the toffee is still very hot (but before it hardens) I have learned to run a spatula through it to kind of “score” it. It makes it break into more even pieces later on. 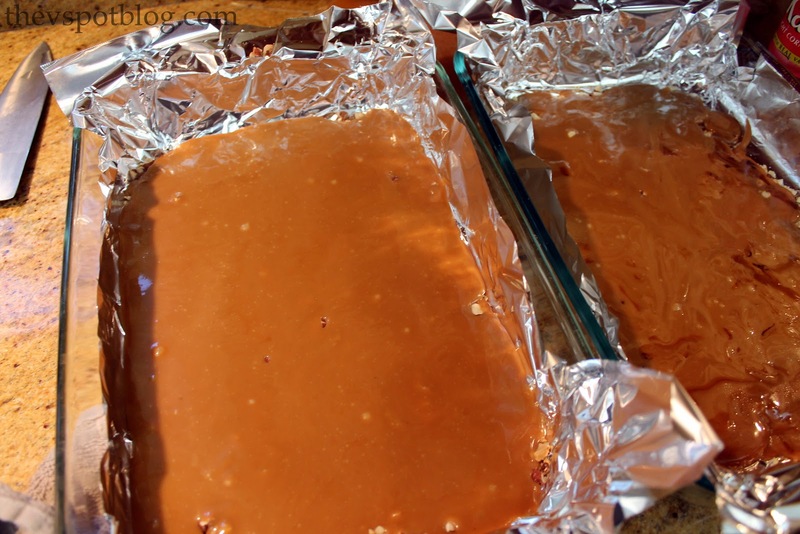 Let the toffee pans sit for about a minute, then sprinkle on a little of the sea salt. Divide the chocolate chips and sprinkle over the top. 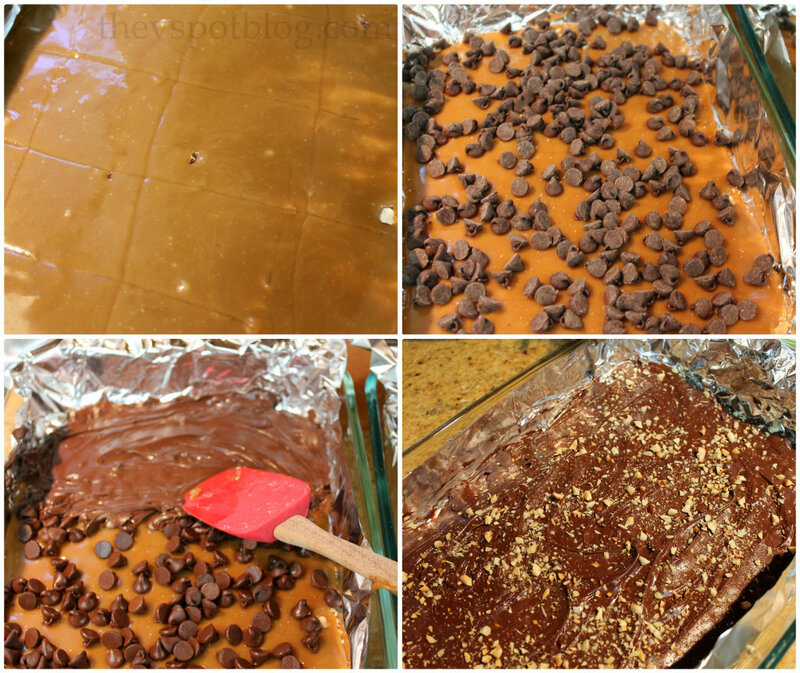 The heat from the toffee melts the chocolate. Use a spatula to spread the chocolate into a layer, then sprinkle on a bit more salt (if desired) and the remaining chopped hazelnuts. Let sit in the refrigerator about 20 minutes, until the chocolate completely hardens. Break into pieces and enjoy! This makes a great treat for neighbors. Thank you so much for sharing this!! I’ve made toffee with almonds for a few years now, but it has never occurred to me to use hazelnuts!! Wow!! I love it!! This will be added to the gifts for sure!! This looks so good! 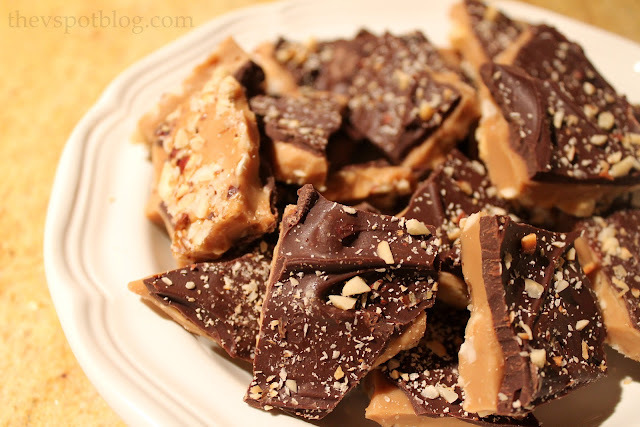 We love toffee and have a hard time staying out of it. I know this wouldn’t last long at our house. I’m not logged into the proper google account so that you know who is writing this. It’s Paula @ Sweet Pea who wrote the above comment!